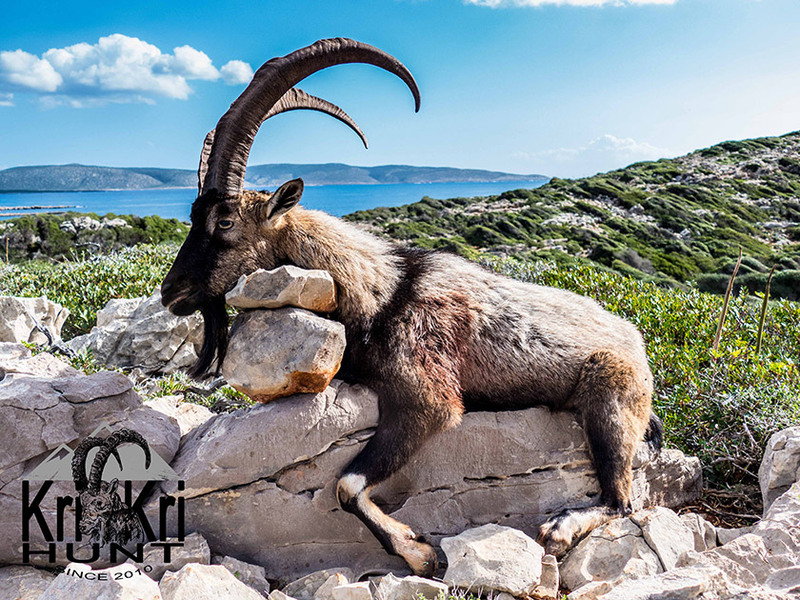 Sapienza and Atalanti Islands is the only place in the world, where the purest Kri – Kri Ibex are living there. 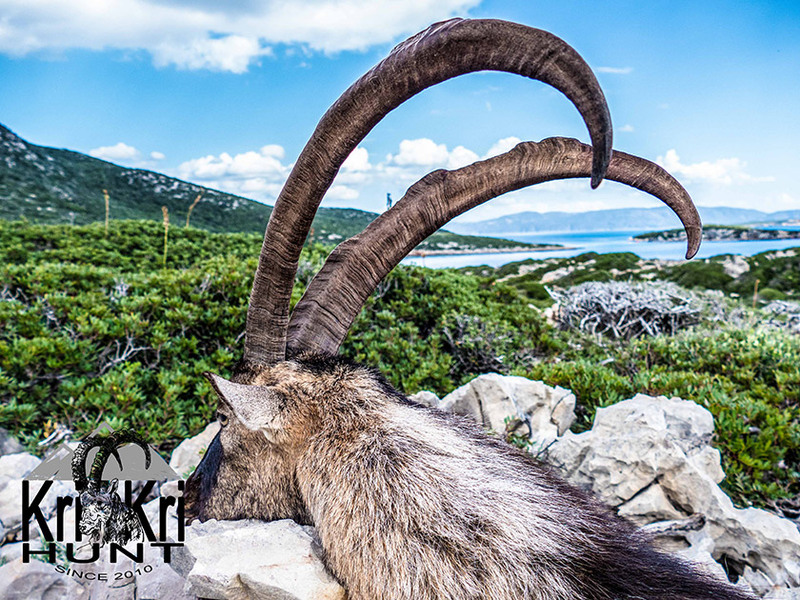 We can arrange for you this magnificent adventure for Kri Kri Ibex hunting in Greece. This Ibex, Kri- Kri (Capra Aegagrus Cretica), is a diminutive form of the Bezoar Ibex and is the smallest ibex by body weight compared to the other ibexes but not by the length of its antlers. .
We going to hunt this Ibex between the last week of October and the first week of December. ​The islands are not inhabited and are strictly used for the conservancy of Kri Kri ibexes. Sapientza Island is approximately at 300 km from Athens. The hunt is only during 3 days of the week (Wednesday – Friday). In the event the boat is unable to make 20-45 minutes trip to the island because of bad weather you can also hunt next Monday. There is not weekend hunting. It is recommended that you arrive Tuesday and depart Wednesday but with a flexible return. Each of these hunting days starts at 8:00 a.m. at Methoni quay where we board the only officially licensed boat and sail for hunting. Our arrival is at about 8.30 – 8.50 a.m.. The period during which hunting is allowed at the island is from 8.30 to 14.00 . The highest point at the island is 800 meters and we could conquer any peak where we saw an animal in a less than an hour, without being in a hurry. The preparation for the hunting in the island starts several months before the start of the hunting season. At that time you should submit the applications for having hunting licenses issued by the state department. On the hunting trip for Kri Kri ibex you can take advantage to hunt mouflon as well.